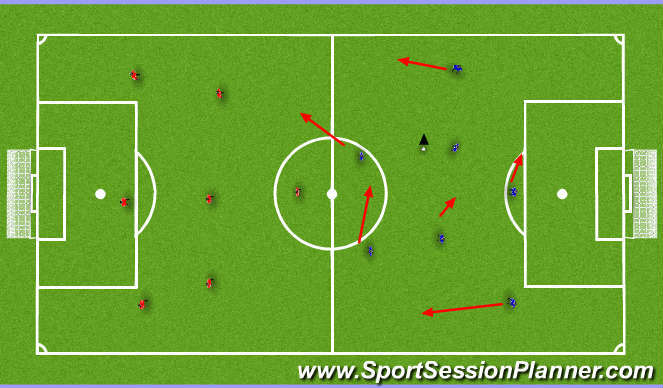 - once the player dribbles over the line they give the ball to waiting player and they now dribble in the opposite direction against the same defender that was just defending other player that dribbled over the line. - if the player is unable to beat the player on the dribble they should look to use the bumper to left, right and behind. The player in front can not be passed to for a point to be scored. 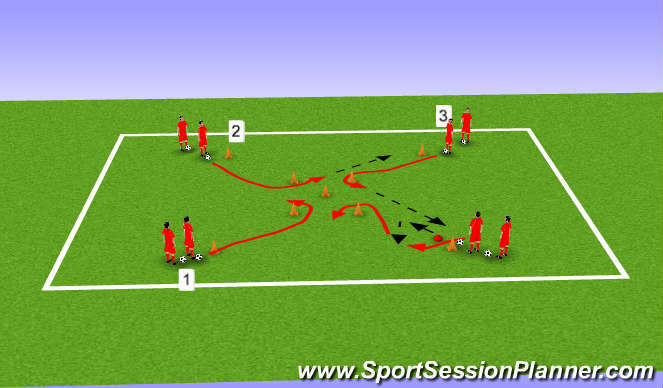 - receive ball from bumper with open body position. This will create enough space to allow players to attack space with first touch and dribble to endzone line. 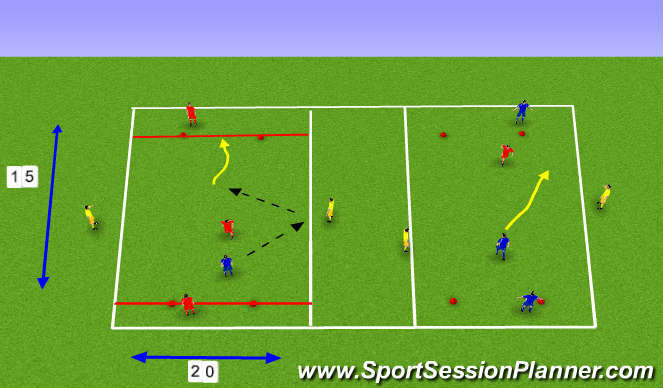 player can score in pug goals or score by dribbling through gates for 1 point or passing to teammate for 2 points. 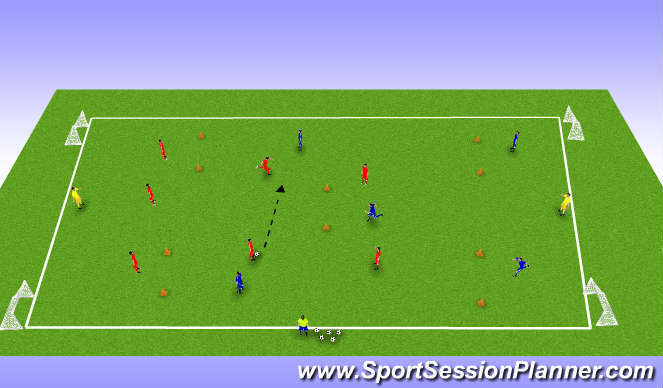 -add rule first pass when ball one has to go back. This will help players learn to create space in transition and lead to more points being scored.